MONDAY, AUGUST 13 — 9:52 a.m. We’re expecting long lines this afternoon for bat testing, so consider getting your bats tested THIS MORNING at the Crowne Plaza. 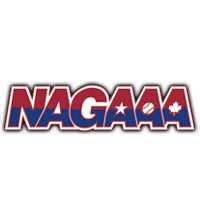 NAGAAA has implemented a new bat-testing procedure for the 2012 GSWS. This means that all bats (for all teams in all divisions) must be tested and approved before they can be used in the tournament this week. Once approved, a NAGAAA official will affix a small sticker to the bat indicating that it has passed the compression test. In short: Get your bats tested this morning! The sooner the better. Usually guys from Lauderdale forget how to rate their players correctly, not misspell. Heard all the Z1000 and Z2000 are not passing the compresson test even a few new in wrapper. Either the calibration is not being tested after testing bats it does need to be. Loisville Z’s have 3 disc and the bat must be tested on the disc to pass,sure they have no idea what there doing. Feel bad for all that bought this bat it is legal and not passing get it right Minnesota,call Louisville ask them. Testing bats is great for the series…..Now NY Mavericks is the team to beat in the B divison..
As a fan, how can I find out the schedule to share the love and cheer you all on? I can’t seem to find any links to the overall schedule? Thanks! Since this is the first year testing out our. We system, we have limited features in an effort to keep it easier to maintain. Look for more features throughout the week, though.